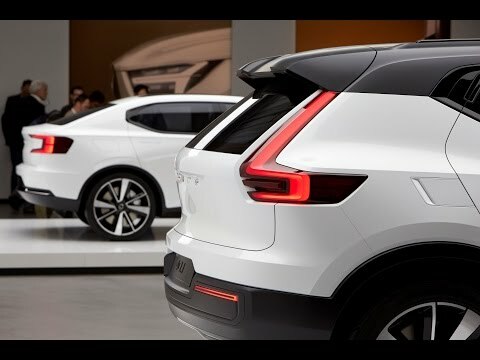 In May 2016, Volvo showed the world an exclusive preview of the new range of smaller cars making up the 40 Series, with the release of images of the 40.1 and 40.2 concept models. These two models were designed to help the Swedish mark a stronger presence in the premium small car market and they feature bold exterior and interior design. Build around Volvo's new Compact Modular Architecture (CMA) platform especially created for smaller cars, the 40 Series will also feature the latest Volvo connectivity, electrification and autonomous driving technologies. It will include a pure battery electric vehicle as well as Twin Engine plug-in hybrid powertrain variants, in line with Volvo's commitment to the electrification of its entire portfolio - all future Volvo models will be available in an electric version as well. On the inside, the new range of small 40 Series will have a strong focus on connectivity services and safety features that the company is already known for, including a total upgrade on the Intellisafe package. The flexibility of the CMA platform and the available electric and hybrid powertrains allows for a much more versatile fleet of small cars, adding the already world class safety features and unique Volvo technologies known to Volvo, will surely put the company ahead of competition.